We head out into this life we're living, a journey in some direction. For each of us. And along that journey, we encounter crossroads, new paths, paths less traveled, paths traversed quite well. These paths – and there are millions of them out there in this world we call "life" – are all directions we can choose to go in. Today, I am putting the feet that I have into a good pair of running shoes. I am choosing to compete in my first marathon. The Milwaukee Lakefront Marathon. October 3rd, 2010. 26.2 miles. That is the mountain. And yet, it will become not this mountain that I conquer, but myself. This conquering of myself will be no easy task. There will be moments of doubt. In fact, I know this – as there have already been moments of doubt. There will be aches and pains that I haven't felt before (and there already have been). There may be moments where I question what I was thinking in signing up. There will surely be moments where I won't want to put in another long run. That's why I've brought on the best coach – Coach Lori. She's been there. She knows what it's like – the training, the time, the aches, the challenges…and the conquering of ourselves. And that's it. As amazing as I anticipate it will be to cross that finish line, the bigger thing for me here, is the going deeper within myself. This WILL be a challenge for me. A challenge both physically and mentally. It's in this challenge, that – in the words of Sir Edmund Hillary – I will conquer myself. And perhaps I have already. At some level, I have. With the challenges, the mountains, that I have faced already in life. This becomes a new layer, as I go deeper within. A new conquering of myself. Perhaps that is really it. On this life journey we are each on, there will continue to be new challenges for us to face. Some of these challenges will be ones we bring on, and other will happen by chance. I believe very much that the challenges we choose to conquer for ourselves will better prepare us for all that lies ahead. Today I choose the Milwaukee Lakefront Marathon as that next challenge, and the next conquering of myself. As it does for all of us. WOW! What an amazing goal! If anyone can go the distance, it’s you! Enjoy the journey! Thank you for this inspirational post! I am about to embark on training for my first half marathon. I will think of these words! .-= Marisa (Loser for Life)´s Last Fabulous Post ..My Obsession =-. You go Lance! You continue to be an incredible inspiration to me and so many others. You truly are a gift from above. Enjoy this mountain. You will climb it with honor and a smile. You will also has all of us cheering you on as you climb it! Love you my friend!! You never cease to inspire or amaze me! WOW! What a massive goal youve taken up. I bet there will be pains and aches and doubts…but then we are only human..and its only natural. But you have managed and will totally do this! You know there is a certain awesome feeling that comes from within when you sign up for something that’s truly challenging. Its this awesome feeling that will keep you motivated. All those pains aches and doubts will vanish..and be replaced with pure happiness and joy! And me, I will wait and read and learn from your beautiful goal. Wow – I echo the wows! Good for you and what a great goal. .-= Lynn´s Last Fabulous Post ..Tending roses, legacy and just the ticket =-. How very inspiring. I’m nowhere near ready to do any kind of marathon, but I really feel inspired to put my running shoes back on and just start moving. Best of luck for you in your training. Thanks for sharing this part of your journey. .-= Jill´s Last Fabulous Post ..I became a mother today =-. I commend you on setting such a goal. This really inspires me and it’s great to know that we can all set goals and achieve them. Some may be bigger than others but you provide such a great example of being able to conquer a big challenge. Good luck, and thanks for sharing!! I have always admired anyone who has completed or has attempted to complete a marathon…so this is great that you are attempting this challenging task. I admire you for challenging yourself and going for it. This year, I hope to increase the miles and distance that I ride on my bike…and who knows, maybe I’ll enter a few long distance ride, too. Lance, I wish you luck on your journey and I would be interested in hearing more about what you are going through as you train. .-= Tim´s Last Fabulous Post ..Weekend Musical Diversion: God’s Promise =-. Oh wow….what a challenge you have set up for yourself! Do pace yourself. All the best! .-= Evelyn Lim´s Last Fabulous Post ..7 Daily Inspiration Messages To Kick Off Your Week =-. Congratulations Lance! I have no doubt you’ll accomplish this task and find joy all along the process. It’s really about the procces, afterall. Running is not in my heart. It took training for and completing a 10-miler to know that! But I learned so much about myself in that process, so I have no regrets. My dad, on the other hand, started running marathons when he turned 50. He is now in his early 60s and I have lost count of his races. He ran Boston last year and turned around and did the Country Music Marathon the very next Saturday! He made the paper for that little feat. Anyway, have fun! That’s the most important thing. People will give you LOTS of advice about running. My advice: As long as you’re enjoying the process, there’s no way you can fail. wooooohoooooo! You ABSOLUTELY WILL DO IT!! I am so excited for you!!! .-= Fitarella´s Last Fabulous Post ..What If Update =-. Hi Lance! We are all cheering you on – hope you can feel that around mile 25! This will mean more than running the race – let it all sink in! Have fun – good luck – and let us know! This is fantastic and let usknow when you are doing the long runs so we can all send positive energy! .-= Blake´s Last Fabulous Post ..Half Marathon Update =-. I can’t even run 2 miles, much less a marathon. The only running is to run to catch the bus. 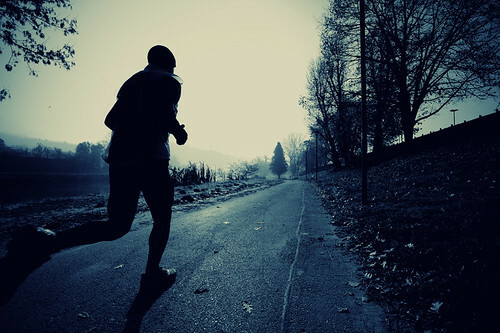 To be honest, the only reason for not running is lack of desire to run, no other excuse or reason. .-= scheng1´s Last Fabulous Post ..Reflection on Successful Life =-. Lance!! I have no doubt you will make it, because you, well… you are LANCE!! And once you commit, you follow through. You continue going deeper and deeper into yourself — into the good stuff. And what quote was it I read over on Vikums’ Thinking Park yesterday, in this post…? A post about THE other great Lance. Armstrong. You go, guy!! And I know you WILL! .-= Jannie Funster´s Last Fabulous Post ..____ will ____ you (a poem) =-. That’s so well said, Lance! First of all, please let me commend you on taking this risk. It’s a risk in many ways: physically, mentally, emotionally — as you said in your post. Rising to meet the challenge, though, is met with an energy of possibility. And it’s an energy we all get to share in, as you do this for yourself. For truly, we never do anything alone. Every action we take, thought we think, and feeling we feel is taken, thought and felt by others we share this earth with. Thank you, Lance, for helping me climb my own mountains as you traverse yours. We can do this! The energy abounds, and our hearts are open to being led beyond where our minds tell us to stop. Huge hug & runners’ bliss! .-= Megan “JoyGirl!” Bord´s Last Fabulous Post ..The Letting Go (A Poem) =-. You will succeed — this I know. Having coached marathoners (and other athletes) — I can see you have what it takes, hands down. Just remember to run smart, as you are doing. It’s one thing to have the drive and spirit, it’s another to not train smart and be sidelined by an injury. When I finished my first marathon I had a feeling like none other I’ve had in my life. You will remember the moment for the rest of your life, Lance. I’m honored to be a part of your journey. .-= Coach Lori (JaneBeNimble)´s Last Fabulous Post ..What She Said =-. .-= Dave (MisterGoodGuy)´s Last Fabulous Post ..SWAGs Charity Calendar =-. WOW Lance! I’m already impressed and you are more than half way there just by making the decision. Enjoy this journey my friend, no matter what happens on race day, be content with fighting the good fight, doing your best every day and honing your never quit attitude. Continue to blog your progress, we are here to help, support and cheer, especially in the moments of doubt. WOW! Do you never stop being freakin’ awesome?! I seriously don’t know what to expect next. I can’t even tell you how much I admire you for continuing to work towards your goals, and finding new ways to challenge yourself and your surroundings. Best of luck! I’ll be over here on the couch with the donuts in my lap, cough. .-= Adrenalynn´s Last Fabulous Post ..This Post Has No Title, Just Words and a Tune =-. This is one of those posts that hit home with me. You commented on my post yesterday so you know where I am at. (much better btw) YOU Mr… Have me really thinking! It is about choice. To grow we do have to dig deep. Hmm! Both of those are things that I know but you reminded me. I am thrilled for you to have set this goal! How exciting it is for you and I know you will do great!!! I so love the way you started this post & of course I will share those quotes in the future!!! I say GO LANCE!!!!!!!!!!!!!!!!!!!!!!!!!!!!!!!!!!!!!!!!!!!!! You always tell us we can do anything & I know you can too! EXCITING!!!!!!!!!!!!!!!!!!!!!!!!!!!!!!!!!!!!!!!!!!!!!!!!!!!!!!!!!! Lance, this is outstanding and I am so excited for you and cheering you on! I love what you said: “it will become not this mountain that I conquer, but myself. Brilliant post! I can’t wait to hear about your journey. Personal victories are the best victories in life. Congrats on your choice and great move going with a seasoned mentor in your corner. .-= J.D. Meier´s Last Fabulous Post ..Faith vs. Belief =-. Oh this does not surprise me! This will be an incredible journey…and probably the first of many marathons for you. I will be here cheering you on (I am really good at this too…I even have a cow bell!). .-= Caroline´s Last Fabulous Post ..It’s complicated =-. You are a different person after you finish your first marathon. Most of the time you have regressed to a primitive hunter-gatherer phase and nothing matters to you except crossing the finish line – not distance, not time, and definitely not pain. You have taken a great challenge. Go for it! I know it will not be easy but keep up the spirit and believe in yourself. .-= Cheryl Paris´s Last Fabulous Post ..How To Be Influential in 5 Super Simple Steps =-. @Joanna – Hey Joanna! Thanks so much for the confidence in me. I will enjoy this journey (well…most of it…). @Marisa – Your journey toward the half marathon will be awesome, Marisa!! Hey, it will be like we are in training together (only virtually)! Thanks much, and best of luck to you, too!! Woohoo!! @Laurie – Laurie, thank you! I will enjoy this mountain. Oh, I know there will be moments that I may not always enjoy – overall, though – I will very much enjoy and savor this whole experience. Thanks so much for the cheers! Love and hugs to you, awesome friend! @Zeenat – Your words inspire me. Today, as I read them, I am moved by all that you are saying. Even more than that, though – as I go forward on this journey – being reminded of your beautiful thoughts will help to sustain me. Zeenat, you always find a way to touch my heart, and today is no exception. Peace and love to you, dear friend. @Lynn – Lynn!! Thank you! I’m excited about this, and it really does feel like a goal that will be a real challenge – so your cheers help a whole lot!! @Jill – Hi Jill! Yes, do it!!! Especially if you have been thinking about this, do put those running shoes on and give it a go. I remember back about five years ago, when I started running – and how challenging that was – yet also how connecting it was too. And – Jill…thank you so much for your support – you are AWESOME!! @Jarrod – Hi Jarrod! This is one of those goals that will definitely be a challenge. And – that is also what makes sharing here publicly – so good for me. By stating this here, I am even more committed to sticking with this goal, and really getting there. So, whatever goals you might have for yourself, make that intention – and you CAN get there! Woohoo! @Tim – Hey Tim!! I have always admired the people who have entered into a marathon too – so, being amongst them, this year, is such an honor! And hey – I love biking too (I was out yesterday!!0. Best to you as you work toward increasing your miles. I found a networking group here that meets to do a bike ride, and then just hang out afterward – very cool idea!! And a very fun way to network and connect with people who share a common interest (biking). Anyway, thanks so much for all your support!!!! @Evelyn – Hey Evelyn! Ha!! I will definitely pace myself (in fact, maybe I’ve been doing too much of that!!!). Thank YOU!! @Joy Tanksley – Hey Joy!! It really IS about the whole process, and the journey to getting to that finish line. And that’s just it – what works for one person, doesn’t have to for another. (so, for now – I’ll be the runner between you and I – you can be the dancer!!) And WOW!!! You dad!! How very awesome! I find that whole story so inspiring!! Thanks so much, Joy!!! Peace and love to YOU! @Fitarella – Jacq!! YOU inspire me!! And today – your cheering just makes this whole thing seem more do-able! YOU, sweet friend, are awesome!! @Suzen – Hey Suzen! You know…around mile 25 (or will it be mile 21! ), I will definitely take those extra cheers!! I know that running this will become much more than just rinning the race…and yet, until I get there…I won’t fully know what it means to me. I do very much look forward to all of this though – the highs and the lows that will come from it. And knowing you are there, cheering me on….awesome!! @Tess – Hey there, runner friend!! I’m excited about all of this, and to just let this journey unfold over the next several months. Thanks so much for your wonderful support, always… Life is indeed GRAND! @Blake – Hey Blake!! I will enjoy it!! Thanks much!! @Jannie – Jannie!! Ahem. Maybe you are confusing me with that other LANCE…the one that hails from that amazing stat you call home. Wait – he’s the biker, not the runner!! Ah yes…and there’s a quote from THAT Lance!! Okay – I’ll take the aches and pains and get there! Jannie, YOU inspire me…always!!! @Coach Lori – Lori!! And success is because this is a partnership – with you in my corner. Lori, I can’t thank you enough for all the support you are giving me on this. It’s one thing to have you here and cheering me on (and that is awesome!) – and another to have you here really focusing me on making this happen (the technical behind the inspirational!). I know you are there!! And this is a journey I am so glad to be on, and to have you with in the whole process. Lori, from the bottom of my heart…thank you for shining your love and light into my life!! @Dave – Dave!! You know…it takes AWESOME to know AWESOME!! You , my friend, totallly are!!! Thanks much, buddy! @Audra – Audra!! You know – that’s true! By making the decision, and sharing here publicly – it feels even more real. I remember the day, about a week ago, when I officially signed up – and saw my name on the list of registered entrants – a day that it really felt like I was fully committing to this. And then here – today – sharing it even more publicly – just continues to make it feel more real. Audra, your support means the world to me – thank YOU!!! @Adrenalynn – Lynn!! Okay – you are giving me a big head right about now!! You are too sweet! (I’ll take it, though!) Maybe I’ll snap a couple of photos with my iTelephone – you know – taken from your favorite photo locale – before and after a run! (wait! that “after” photo could be pretty scary!!!). You have donuts??? Maybe I’ll run all the way to YOU (hmmm…if I could only run on water….) YOU, sweet friend, are AWESOME! @Shannon – Hey Shannon!! Hey, it’s great to have you here ANY day of the week! So good to hear that you are in a better spot, today. And yes – choices. We all have a choice. Whatever it is we are seeking in our life – we have a choice in how to get there. It’s great to have you in my corner – and know that I am cheering you on along the way too!! You have some exciting goals – and I very much look forward to seeing you move toward them! @Jody – Hi Jody!! You ALWAYS make me smile!! And having you along for this – awesome!!! Just like YOU!! Jody, you support is so amazing and meaningful – thank YOU!! @Jenn – Jenn!! You are AWESOME!! And you support (and cheering!) mean the world to me!! Looking at running this – the first thing we really think about is the physical challenge – and yet, it really is so much more. And I am finding that out already – on the longer runs I have been doing – and the whoel process is so meaningful. Anyway, so great to have your support!! And…your birthday magic!! I love it!! Woohoo!! @J.D. Meier – Hey JD!! Thanks!! And, having Coach Lori along in the process is already making such a big difference in my sticking with this. @Caroline – Hey Caroline!! So…I know why YOU have that cow bell…you have cheered on an athlete or two in triathlons!! What your husband has done is amazing – the Ironman Triathlon is hard for me to even fathom!! Right now…the marathon seems like a pretty big challenge. And I suppose that’s part of it – that we are all on a journey – and it’s personal to each of us. Anyway, Caroline – your support is awesome and so meaningful…thank YOU!! @Chris Edgar – Thanks much Chris!! I DO hope that I “walk the talk”…and this here is one of those moments – especially with putting this out there publicly. Ha!! Ummm….well, it’s not that I’m giving up on myself….but I am pretty sure that “1st place victory” will be a very personal one…and not a public one! I think I’ll have to go with some other angle if I’m going to get national media attention out of this!! Hmmmm…..
@Rayna – Hi Rayna!! Ah, yes…I am sure that during the race – my focus will very much become that of “just finish”. And in that, there is a great lesson of perseverance. Thanks much!! @Cheryl – Hi Cheryl!! The Dr. Seuss quote really jumped out at me, too. I am very much looking forward to this challenge, and all the possibility it holds. Thanks so much for your support!! Hi Lance – what a goal .. and for telling us about it .. go for line. How encouraging to bring on Lori as your coach .. that’s a great idea .. tomorrow is London marathon day .. and I wrote about the English army dashing back from the north of England to engage William the Conqueror .. they hadn’t recovered for dashing up there in the first place, let alone returning to do battle again with William – we know what happened .. the prepared fresh man won! 225 miles with full armour and all the paraphernalia .. are you just taking you??!!!????!!!!! .-= Hilary´s Last Fabulous Post ..Pevensey Castle, Normans Bay, smuggling and family remembrances … Part 2 =-. .-= Mama Zen´s Last Fabulous Post ..My Inner Circle =-. I’m pulling for you buddy!! I never imagined when I first began running that I would find the experiences and moments that I did. It has been and is a grand voyage! .-= Dr. J´s Last Fabulous Post ..Lab Notes: Omega 3’s May Cut Colon Cancer Risk; SpongeBob Saves Choking Girl =-. Awesome ! way to go my friend ! I have topped the road race when I was a school boy (17 yrs old). But it was only 5 kms. So 26.2 miles is woww….. . I hope you’ll learn a lot and in the journey, the journey towards your peak. Somethings we have to learn through pain. But those lessons lasts forever since those hard experiences make sure that they stick to our memories forever. I hope marathon will bring out a healthier, stronger, better, more determined, more disciplined Lance ! .-= vikum´s Last Fabulous Post ..What can we learn from weaver bird and firefly? =-. Beautiful and incredible post. It’s so true. Personal development is all about conquering ourself. The external things are always in change so it’s not for their possession we do these things. I’m actually experiencing this recently rather than just knowing it mentally. @Hilary – Hi Hilary! Lori has been an amazing coach, and I am lucky to have her in my corner! Wow, the story about all that armor! Ha! For me…it will just be me! Thanks much for the support! @Dr. J – Hey Dr. J!! You inspire, my friend! Thanks much for all your support! @vikum – Hi Vikum! The 5K is the only distance I’ve actually competed in, so this will most definitely be a challenge. And I really believe – as great as crossing that finish line will be – that the real beauty of this will be the whole journey (the good and that challenging both). @Tabitha – Hi Tabitha!! So great to see you here! And thank YOU for your beautiful support! @Richard – Hi Richard!! Ah yes…the experiencing…there is so much to that. It is one thing to talk about personal development, and another to go out there and do it. Good on you for getting out there and really living! .-= Jim Raffel´s Last Fabulous Post ..Plan B – Have one for your home base? =-. And wow, what a challenge indeed! Your passion for personal expansion is so admirable! Truly inspiring in fact! I will not begin to downplay the 26.2 miles, for that is a journey alright, but every journey begins with a single step. And you have taken that first step. What follows is just more steps, and every single one in the presence of the moment of now. So while I agree, things like this make us think and may make us doubt ourselves, I know you will walk away from this a changed being – and all for even the better. Each step will continue to transform a part of you that you perhaps did not even intend or imagine, but that is part of the beautiful journey we are on. Way to go!!! .-= Evita´s Last Fabulous Post ..Book Review: The Book of Awesome =-. Good luck to you, Lance. The training will all be worth it in the end! .-= Kacy´s Last Fabulous Post ..Robe Vlog 5QF =-. @Jim – Hey Jim!! Very cool about your wife running her first marathon next weekend! Best of luck to her!! I’ll check out the FitMKE site – sounds awesome!! And hey – would be awesome to meet up with you at the Lakefront Marathon!! @Evita – Hi Evita!! This one will definitely be a challenge. I’m already finding the physical challenges, as I am currently nursing an injured foot. And I know there will be more challenges along the way…both physical and mental. What I love about this is the clarity that running is bringing me right now. And while I don’t notice any daily “big” transformations…I know that it IS happening. So, whatever that is for each of us – right – those challenges we face, when we come out of them, we are a different person, transformed by that challenge. This is one I very much look forward to! And it’s great to have you as part of the cheering section! @Positively Present – Hey Dani!! I MAY just look you (and your boyfriend) up…thanks for the offer! @Kacy – Hi Kacy!!! It’s great having you here! I’m excited about this. I know it will take a lot of time, and I’m also finding out that the challenges have started to come already – in the form of physical pain. And it’s a process, and all part of the journey…one I very much look forward to. Thanks so much for your support!! uh oh, Lance! A marathon! I love it. It’s a long way but you’ve got it within you. While you’re running those long runs, I’ll be in the pool swimming many laps. Together, we’re going to be burning a lot of calories. Quick tip: make sure you still eat sensibly. A lot of people get into marathons and think they can eat whatever they want and they actually end up gaining a little weight. Be mindful of your portion size and eat lots of fruits and veggies. I’m rooting for you. .-= Angel Stone´s Last Fabulous Post ..Angel Mail: How do I run without dying? =-. And – I’m all setup for May!!! I’ll email you – can’t wait!!! Congratulations for running your first marathon. What an accomplishment!! I’m excited about this! Well…except for those long runs I come home from, with new aches and pains!! They have all passed, though!! And – thank YOU!! I really love the new lo0k we’ve created here – so that means a lot to me! This is a great goal to have. I have the same goal that I hope to accomplish around this time next year. I am reaching half-marathon conditioning and hopefully will be able to push towards the next 13 miles soon. Stay motivated! Congrats on the decision to go for it! Woohoo!! That’s awesome, Ralph!! Best of luck to you in running your marathon! I have not understood the obsession of marathon but I respect it immensely. I know running that much and training for it will just ruin my knees but I am crazy about yoga and I continue to raise the bar and challenge myself. I am a big supporter of all my friends who run marathon and it seems I have one more: Good luck Lance! Congratulations Lance! I know your hard work will pay off. I know the challenge will mold you to an even better soul of endurance, PLUS the lakefront. Wow! That will be nice, especially in October. Cheering you all the way! .-= Angelia Sims´s Last Fabulous Post ..Sensationally Stunningly Six =-. @Farnoosh – Ha!!! Maybe by the time I finish the marathon, I’ll be saying the same thing!! I find much clarity in running, along with many challenges as the distances get further and further in my training runs. Yoga girl!! (I’ve been told I should really try that…) Farnoosh, thanks so much for everything, and today – especially for you support and friendship! You are awesome! @Angelia – Thanks!!! This will definitely be a challenge!! And yes, you know the lakefront – it’s so scenic, isn’t it! Angelia, thank you so much for your support and for your sweet friendship!